One of our most popular products, our Little Tag is now available on a Pandora-style charm carrier! 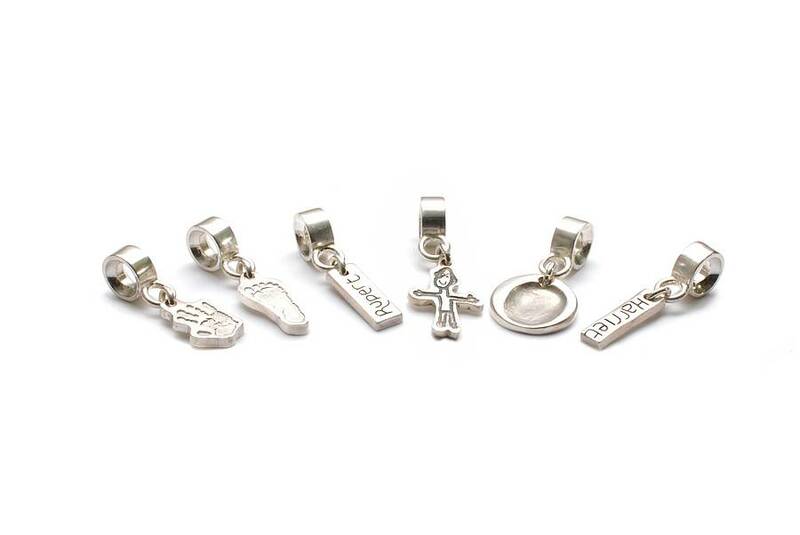 Our fabulous sterling silver Pandora-style charm carriers are made especially for us, right here in the UK. 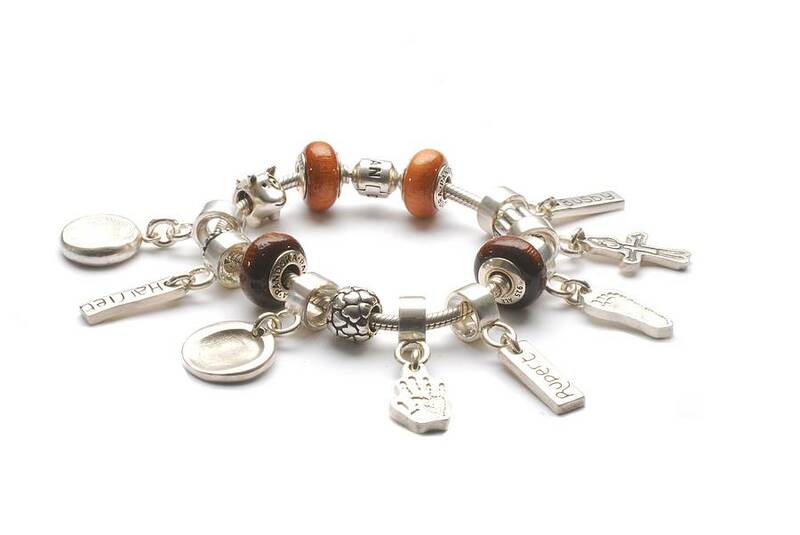 As well as fitting Pandora bracelets, they will also fit many of the other similar styles too. 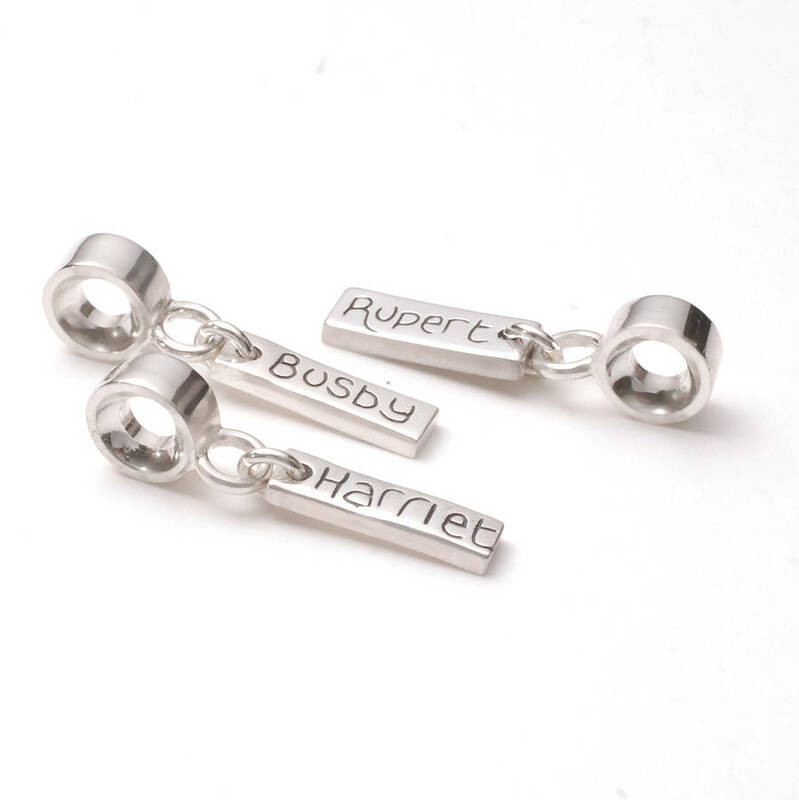 Each Little Tag is hand cut, hand inscribed and hand polished in solid sterling silver! These make a wonderful addition to our FingerPrint and Little Hand/Footprint Pandora-style Charms, and are a great way to personalise your favourite bracelet! You can personalise your Little Tag with up to 8 letters or we can make the tag slightly longer for 10 or 12 letters! Once we have received your order in the studio we aim to make your item within 21-28 days. There will be a cut-off date for busy times of year, this is the date that we need to receive your impressions by in order to allow us enough time to make your jewellery/keepsake.